UPM Mechanical is a Contracting, Service and Management company delivering value-added solutions. 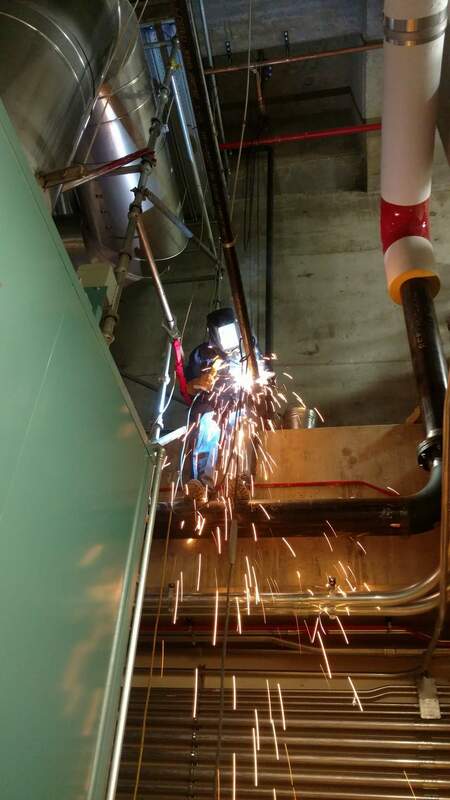 United Piping & Metal provides quality mechanical contracting services to General Contractors, Businesses and Government Agencies in the Denver area and beyond. 8(a) & MBE Small Business certifications pending. United Professional Maintenance provides exceptional service, repair and replacement for all Heating, Cooling and Plumbing systems and equipment. As a Small Business Certified contractor, United Project Management provides Prime Contracting, Scope Development, Budgeting and Value Engineering services to Federal Government, Local Entity and Industrial Clients. Commercial Structures - Office, Educational, Healthcare, Recreational, Justice, Data Centers, Laboratory and Research, etc. Industrial Structures - Processing, Factory, Distribution, Military, Manufacturing, Pharmaceutical, etc. Piping and Mechanical Systems Replacement Projects - Boiler Room, Chillers, Towers, Central Plant, Air Handler Rooms, etc. Our full range of services is backed by our commitment to the highest quality work with no compromises. We do it right the first time.